← Ancient, Awesome Predators who’ve gotten a bad rap. There are many creatures that over time have received a bad rap. They are feared, avoided and disposed of (often with extreme prejudice) when encountered. But where does the fear come from? I believe it is primarily from the lack of information. If only people knew the truth about many of these so-called monsters and pests, they may see things in a different light. Let’s take sharks for instance. 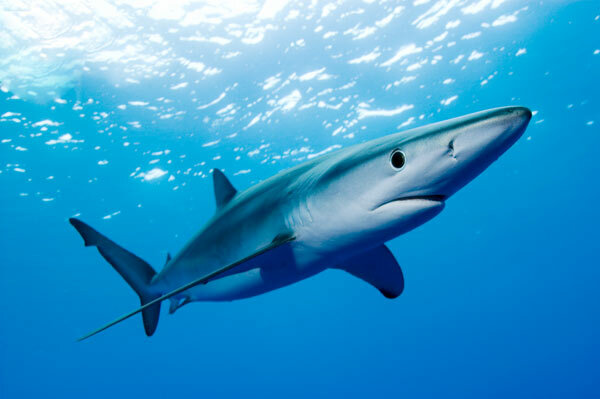 There are more than 360 recognized species of sharks swimming around in the world’s oceans and they have been for hundreds of millions of years. That’s right; sharks are one of the most prehistoric creatures we still have on Earth today, right up there with crocodiles and sea turtles. And yet they are also one of the most feared, most misunderstood fish in the sea. I myself cannot claim to be entirely immune to this. As a child I was mildly bumped by a shark off of Nags Head, NC and promptly decided that I would not be returning to the ocean (at least not over my knees) from then on out. As an adult, conservationist and ecologist I can see now my fear was directly related to what I knew, or rather what I thought I knew about sharks. I mean really, even I had seen JAWS. Returning to the water years later I again saw a shark but this time, rather than fear it, I simply regarded it with wonder. Sharks are incredible predators. They are absolutely perfect in their design as the top dog in the food chain. They are not man-eaters, or monsters. They are fish, big fish…with teeth (with a few exceptions.) In much of the world you have a better chance of getting hit by lightning than getting attacked by a shark. And the few that do…it generally turns out to be a case of mistaken identity rather than the rogue Great White of myth. Think of yourself as a child in a pool or a lake, swimming to the bottom and then looking up towards the sun. My daughter’s chubby baby legs hanging off the inflatable inner-tube could easily be a tasty sea turtle to a hungry, if misguided shark. If you saw any of the specials on sharks being run over the last few weeks then you know that as dangerous as people perceive sharks to be, the real danger is us, and what we are doing to the environment. Nearly all sharks are protected by law and some, such as the Hammerhead are experiencing record declines due to the inhumane practice of finning, which involves removing the dorsal fin and then throwing the shark back into the ocean to suffocate. Thankfully there have been crackdowns on this practice recently so maybe these awesome creatures will continue to thrive. So if planning on a vacation where sharks may be present, take some precautions yes, but also do a little homework. You may find that sharks are some of the most fascinating creatures on Earth. Sharks have a lightweight cartilage skeleton, rather than bone which allows them to glide through the water and they come in all shapes and sizes. 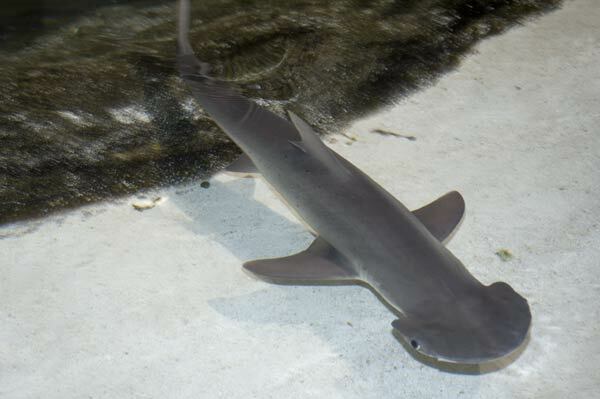 Little bonnet-head sharks (they look sort of like tiny hammerheads) are often found in shallow water swimming along in the surf looking for small fish and crabs. They are only a few feet long and absolutely harmless. The largest fish in the world is the whale shark. Stretching up to 40 feet in length (its mouth can be four feet across!) this gentle giant doesn’t even use it’s many rows of tiny teeth for feeding but rather filters plankton, small fish and squid through its gills. Snakes are another species that so many declare war on each year. And for what? Would you rather be overrun with vermin, perhaps the idea of another plague sounds exciting to you. Did you know that in Georgia it is actually illegal to harm or kill a non-venomous snake? You could actually go to jail or pay a $1000 fine. According to wildlife biologist, Thomas Floyd, there are 41 different species in Georgia and only six are venomous. Many snakes, such as the Indigo snake and the Northern Pine Snake (see picture) are also protected by state and federal laws as rare and endangered species so you may want to think twice before putting a shovel to the slithering visitor in your yard. Fear of snakes is such an old story; it could and probably is by many to be considered biblical. After all, wasn’t it the serpent that tempted Eve? You’d think however that we’d made some progress over the last several thousand years or so (or more depending on where you stand religiously.) Snakes are cold-blooded and will often bask in the sun on warm afternoons. They will not chase you down if you see one on the side of the road or sidewalk. It is actually in their best interest to leave you alone, as you are not prey and would waste their precious energy that they need for actually pursuing food (as in the mice and insects that keep eating your vegetables.) Basically if you can tell the difference between a rattle and a regular tail, you will probably be alright. Simply give snakes a wide berth and observe from a distance. They can be quite beautiful. The largest non-venomous snake in North America, the Indigo Snake (5-8ft) is actually dark purple and very non-aggressive while the simple green garter snake can be a brilliant shade of green. Colors are important as the venomous Coral snake is brightly colored (red, black and yellow) so always pay attention. Non-venomous species have rounded eyes and a more rounded head although they may flatten it out when threatened (causing some confusion in identity as venomous snakes have triangular shaped heads and eyes like that of a cat.) They move in a really cool way (considering they have no appendages) by flexing and relaxing the muscles along the undersides of their body. Most can also unhinge their jaws in order to eat prey larger than themselves. Once fed, a snake can then go weeks or longer without eating again. Another perfect evolutionary design; don’t you wish humans could do that sometimes? I’d win on Survivor for sure! Anyhow, if you live in the southeast you don’t have to worry too much about getting bitten by a venomous snake, or any snake for that matter. Most will avoid you and if you do come across one, simply go around. 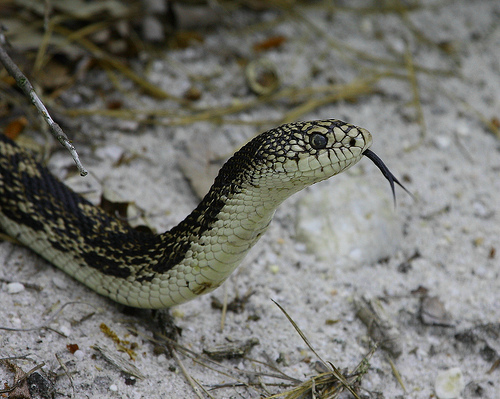 If you plan to be in an area that is known for snakes check out this handy guide created by the University of Georgia, Savannah River Ecology Lab and the Nongame Conservation Section (GADNR) so you know what to look for. And next time you see one in your backyard, just stop and smile, and maybe give a little nod of appreciation for all it is doing to keep your backyard eco-system in check. Lastly we move on to spiders. I have in my life met more people that claim a fear of spiders, referred to as arachnophobia than any other fear. As with sharks and snakes, the fear is an old one and created mainly from misinformation, as in “the only good spider is a dead spider” mentality. Spiders are an important part of any eco-system and can be found just about anywhere on Earth. Some jump, others dig little holes in the ground and use a “trap-door” to catch prey and still others create beautifully ornate web masterpieces that most of us simply brush out of the way in annoyance as we go about our busy lives. Spiders are not insects. They are arachnids meaning they have eight legs. Most have compound eyes and many create some sort of web used in catching prey. Spiders will bite when threatened, but most bites are more of an annoyance than an emergency, much like an ant bite. The two to watch out for here in Georgia are Black Widows, identifiable by the red hourglass on their abdomen, and Brown Recluses. However, the chances of being bitten go down considerably if you simply wear gloves while gardening and or doing work around the perimeter of your home and by simply being observant. If you ever get the chance to simply sit and observe a spider you may begin to appreciate the wonder that they represent. They are pretty incredible little dynamos of nature. Fuzzy wolf spiders look mean and tough but will likely scurry away if you approach. Beautiful banana spiders will protect your garden from pests. Their webs are easily identifiable by the zipper pattern (as if you couldn’t already ID the bright black and yellow 2-3 inch spider already.) 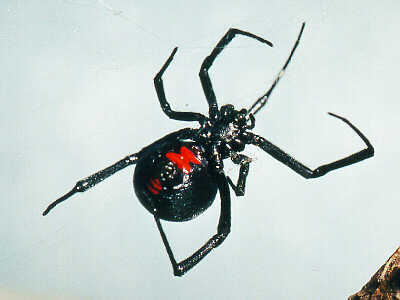 One spider that I am particularly fond of is actually not native to the United States, but to Malaysia. The Red Crab spider lives among carnivorous pitcherplants in the rain forest, teetering along the brink of the pitcher and will actually use its web as a lifeline so to speak to dive into the plant’s digestive juices to nab a tasty bug morsel before hauling itself back to safety. How cool is that? Are there other species that have a bad reputation, but which are actually really interesting? Send me your ideas; I’d love to read them. This entry was posted in Adventures and tagged nature, sharks, snakes, spiders, Wildlife. Bookmark the permalink.